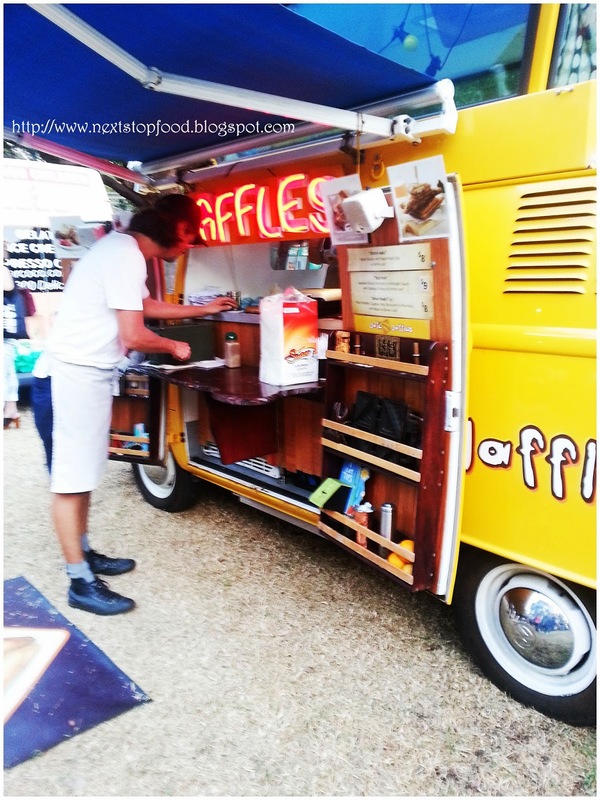 Next Stop: Food | Food Blogger located in Sydney Australia: Food Trucks United - Favourite Food trucks in one location! 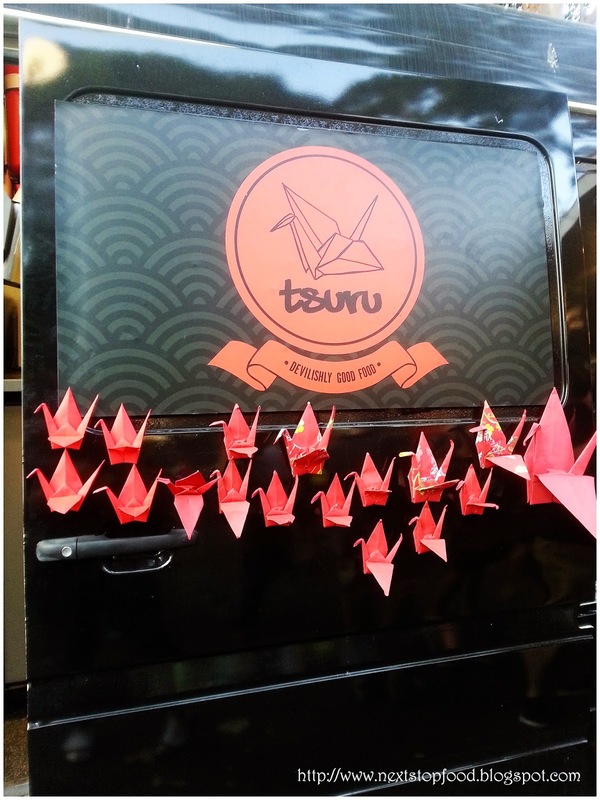 Food Trucks United - Favourite Food trucks in one location! 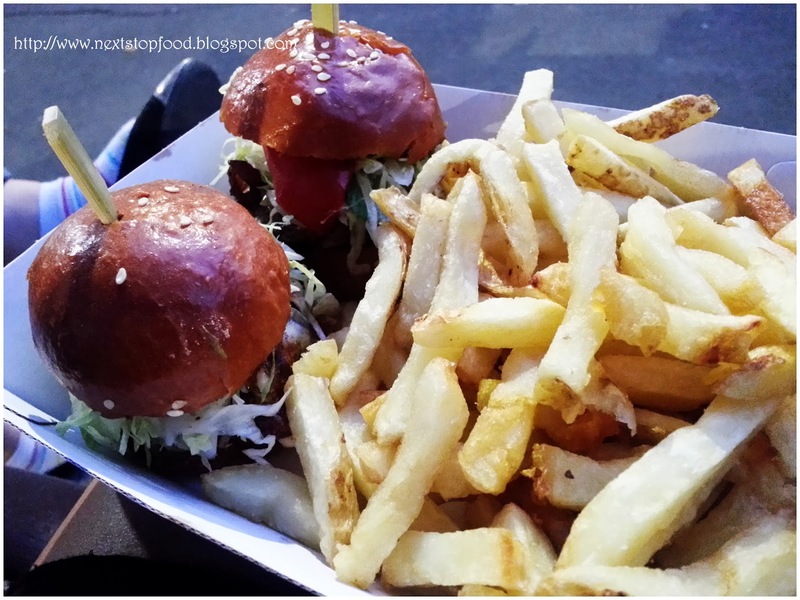 Ever been to an event and ate from a food truck and never saw it again? Well this monthly event (every first Friday of the month) has been created so you can find all those food trucks in one spot! What a great idea I hear you say? We got to go and experience this first hand and it was a great experience. 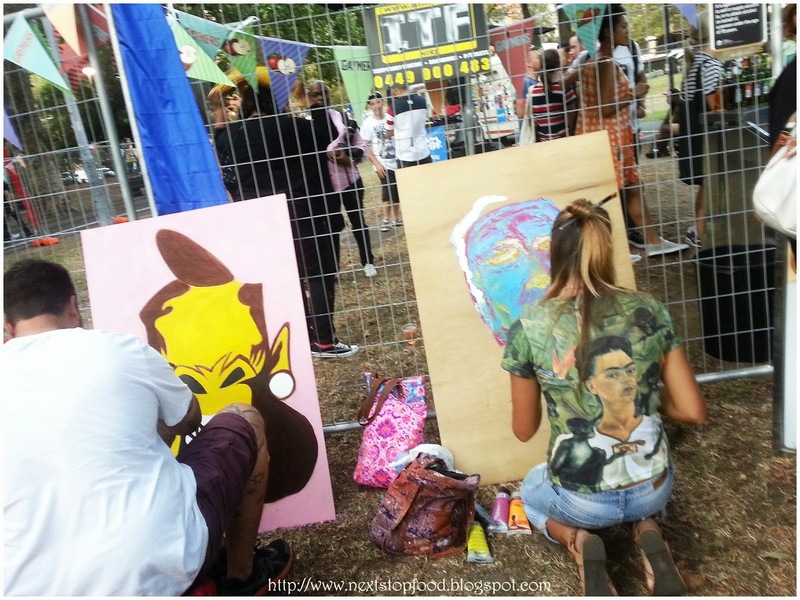 Food, art, entertainment and alcohol. What more can you ask for?! 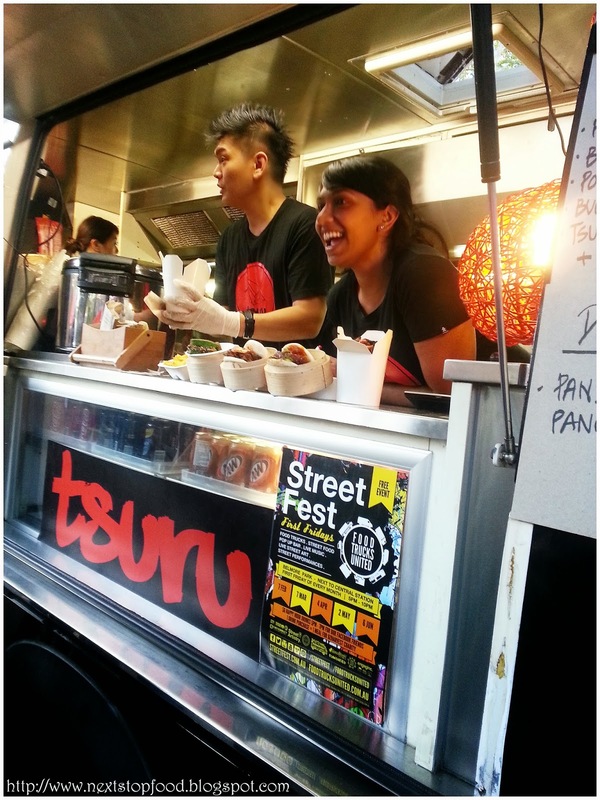 Firstly thank you to the event manager Jennika for the invitation and the food truck united organiser Yudi. Feli and I had a great time attending this event. Our first impression when we arrived to this event was "WOW! what are they drawing!?". 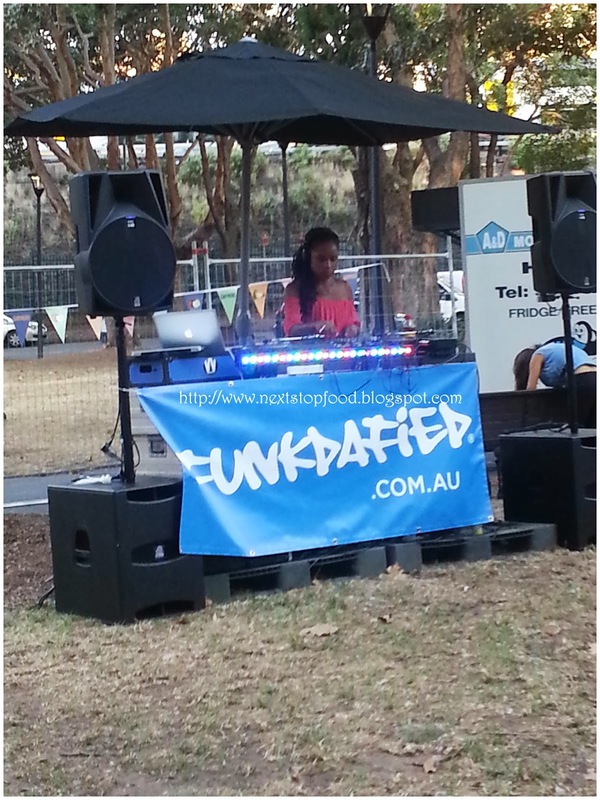 The event was created to bring something to Belmore Park (Next to Central Station), not only was their a gathering of food trucks, there was also live DJ's and street art. We got to watch artists bring life to a blank canvas, right before our eyes. First stop was the pop up bar! 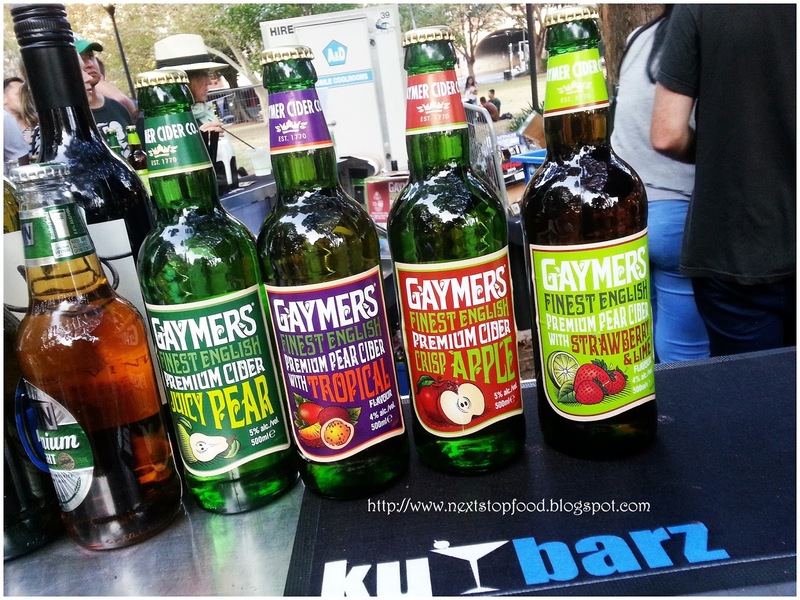 The event promoted the yummy Gaymers Ciders, there was 4 flavours available apple, pear, tropical and Strawberry and lime. Feli and I tried the tropical and Strawberry and lime and out of the two the strawberry and lime was very delicious. reminds me of my favourite Rekorderlig cider. So many food trucks, which one do we choose? Feli wanted to try Tsuru for the yummy pork belly buns($7). 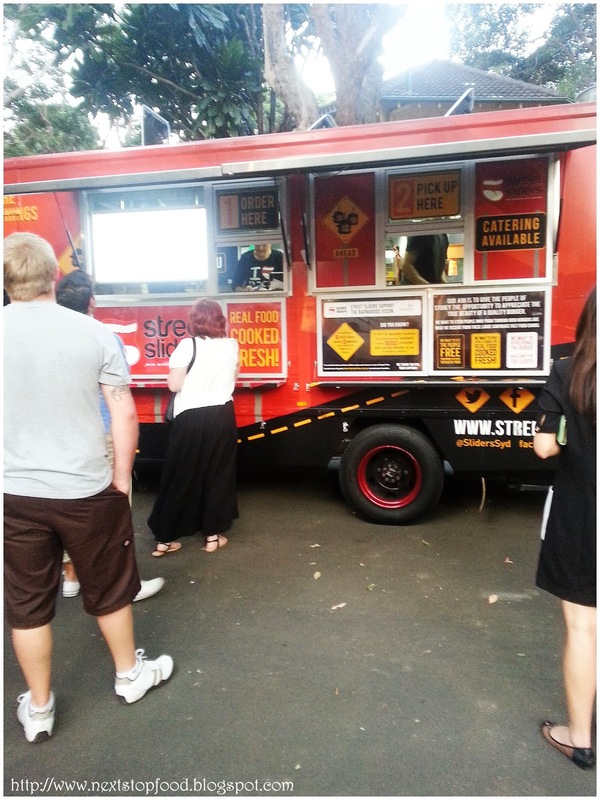 This truck is also Yudi's (the organisers) very own food truck and one of the popular ones. There was always a line at this food truck and the lady behind the counter was very bubbly. 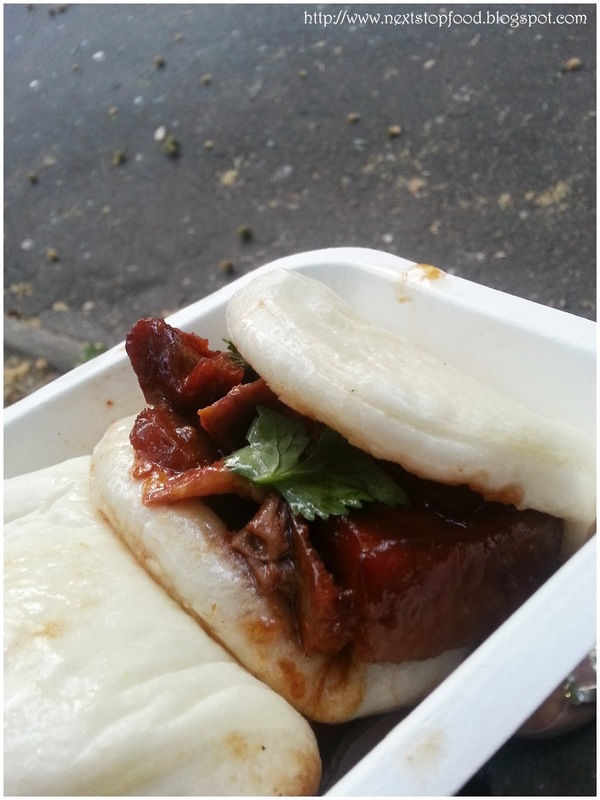 The bun was very moist with lots of flavour, hint of chilli and a slice of cucumber. 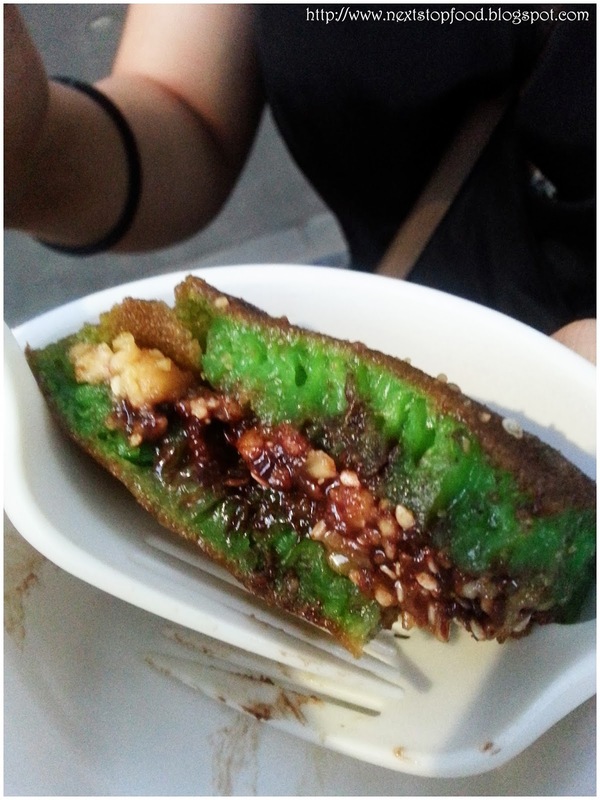 We also got to try the Pandan Pankcake ($4) from this food truck. It had an interesting texture, very delicious and the nutella was a good surprise. Up next we decided to try some sliders at Street Sliders. I have seen this food truck before during the Neon run and have always wanted to try it. 2 sliders and chips for $13, there was 3 selections and we chose the Beef pattie and the Egg plant Pattie. There was a big line at this food truck and we were told that we had to wait 20 minutes for our food. The food was worth waiting for and the chips were really good! At this point we had eaten our full in food. 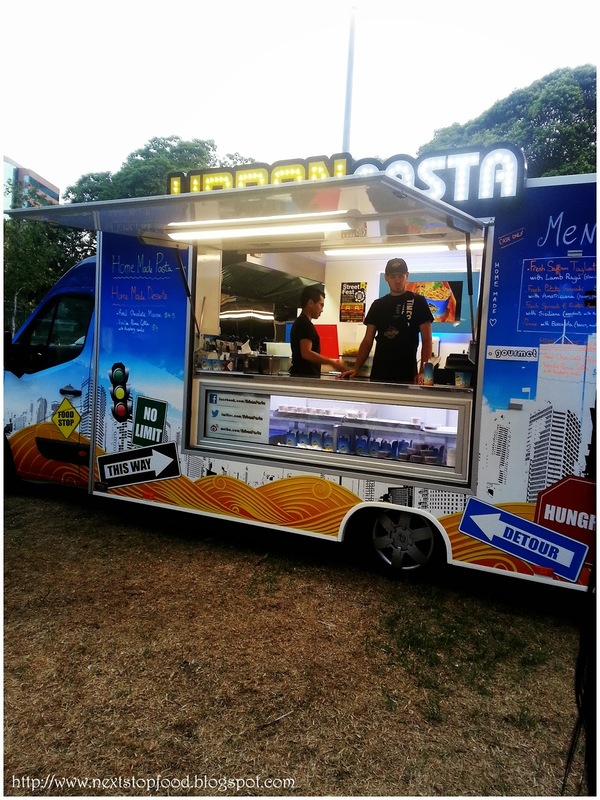 There were many other food trucks that I have seen in various places and markets such as Cane sugar drinks, Gozlemes, Agapé Organic, AlCarbon, Jafe Jaffles, Let’s Do Yumcha and Urban Pasta. In addition to the food we were also invited to the 'Street lounge', this was a sectioned off ticketed ($25) area where you can relax and dance infront of the DJ's. Once inside it was a very loud and it had a vibrant ambiance. People were throwing their hands in the air, dancing and having a great time. 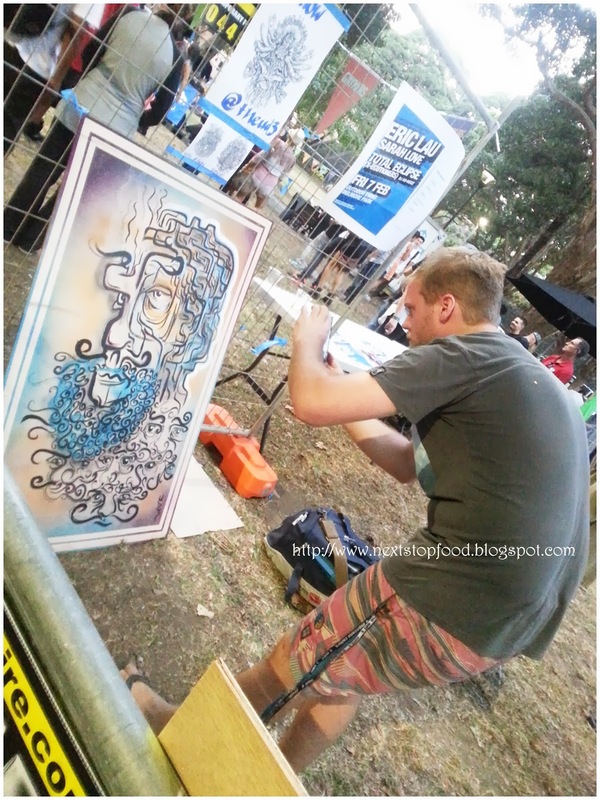 This event is held on the first Friday of everyone month in Belmore park. 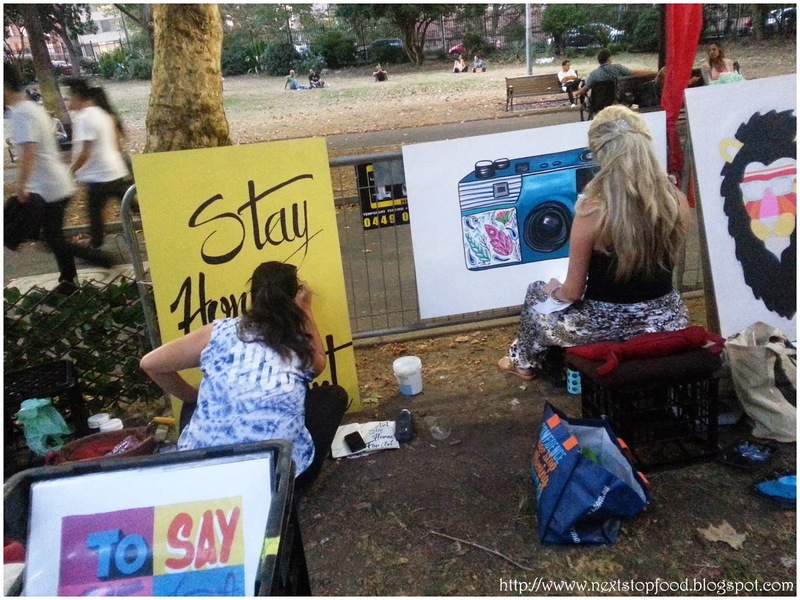 I recommend dropping by if you love food, art and loud music. We had a great time and we definetly need to go again to try the other foods. Next Stop: Food was invited to Food Trucks United as guests. All comments in this post are purely based on our own thoughts. Thank you Jennika and Yudi for the invite. Too many food trucks, not enough belly. Such a great idea to make this a monthly event!